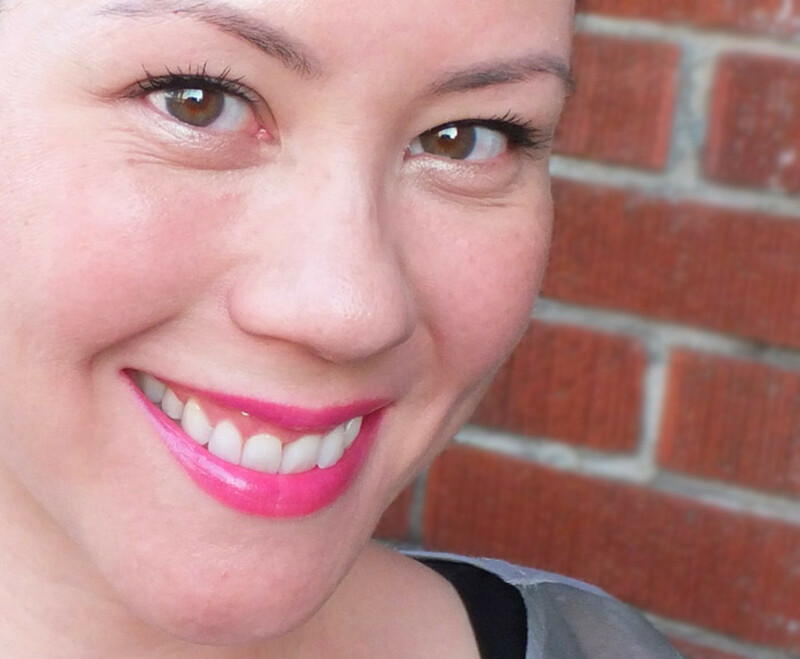 You need these three (or four) new makeup items from L'Oreal Paris. Trust me. Bonus: none of these has a spendy price tag, so you can get them all without putting your rent cheque in danger. Someone recently expressed surprise when she saw the contents of my makeup case. "It&apos;s all drugstore stuff," she exclaimed. One day I&apos;ll show you exactly what&apos;s in there (I&apos;ve geeked out about several of my favourites already, via Twitter and other mediums, and I&apos;m wearing them in this photo), but today is about three (or four) new non-spendy drugstore makeup items I think you need to have in your kit too. This is a selection of colours from the preview, before final packaging was available. 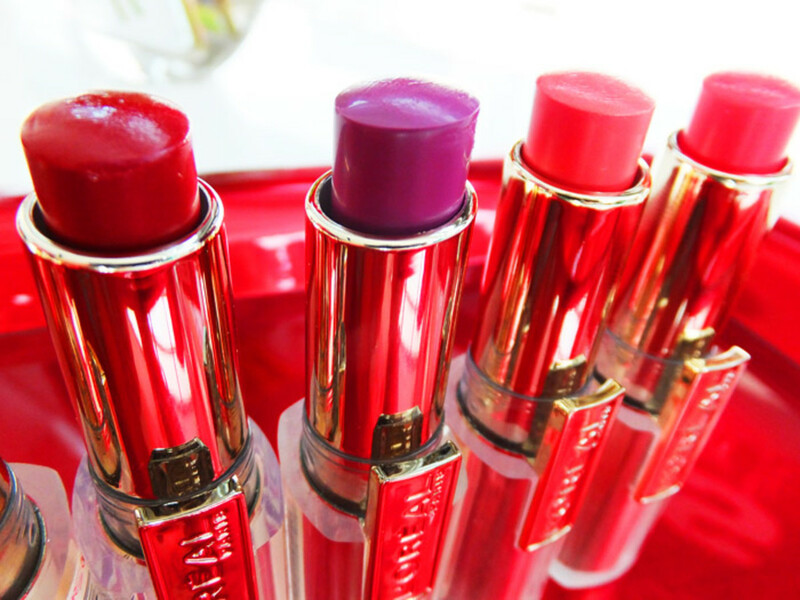 From left: L&apos;Oréal Paris Color Caresse in Velvety Fuchsia, Pink Cashmere, Rose Taffeta, Cherry Tulle, and Violet Chiffon. 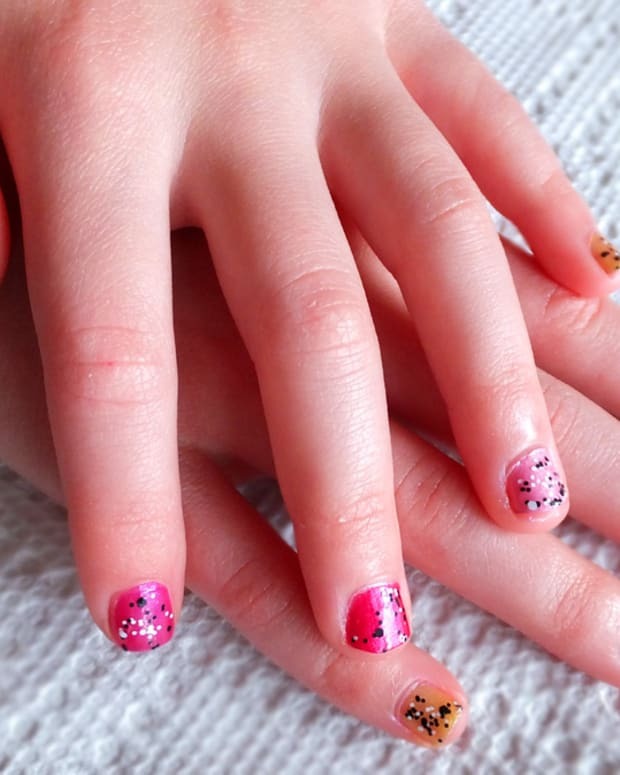 Below, from left: Cherry Tulle, Violet Chiffon, Sunset Angora, and Blushing Sequin. This is the outfit Color Caresse wears now, at your nearest drugstore. L&apos;Oréal Paris Extra-Intense Liquid Pencil Eyeliner in Carbon Black ($11.99, drugstores, $10.19 at well.ca). I cannot live without this pencil&apos;s saturated, inky finish, and don&apos;t know how I did before I tried it. (Liza has had to listen to me gush about Extra-Intense for days.) 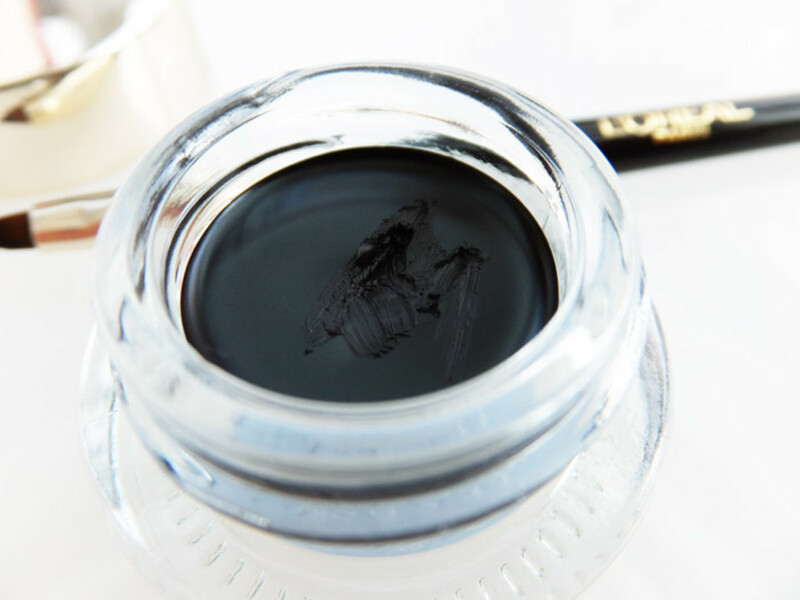 The formula glides on with the lightest touch and in a deep, dark swath, blacker than most pencil liners, certainly blacker than any I&apos;ve used so far. I line my upper inner rim with Extra-Intense (see opening photo, in which I have done exactly that) and if I let it set properly for a few seconds, it stays put for hours without smudging into my lower lashlines. Blinking firmly right after I apply it creates a smoky-ish transfer to my lower waterline; love that, too. And at the end of the day, the colour along my upper inner rim is as fresh-looking as it was when I put it on. The pencil&apos;s finish really is liquid-liner like, a genius alternative for anyone wary of actual liquid liner. If you&apos;re in the market for a black eye pencil, this is the one you want -- and I say that with full appreciation of all the other excellent eye pencils I love. L&apos;Oréal Paris Infallible Lacquer Liner 24H Eyeliner ($12.99, drugstores). For a second, forget that this is a creamy liner with a black-lacquer finish, killer staying power and an accompanying compact-bristle brush that delivers the control you need for a perfect kitten or cat eye. Think of it instead as a transformer for creating the most gorgeous, smudge-proof smoky shadow looks ever. Here&apos;s how you want to use it: apply in short strokes along the base of the upper lashes of one eye. 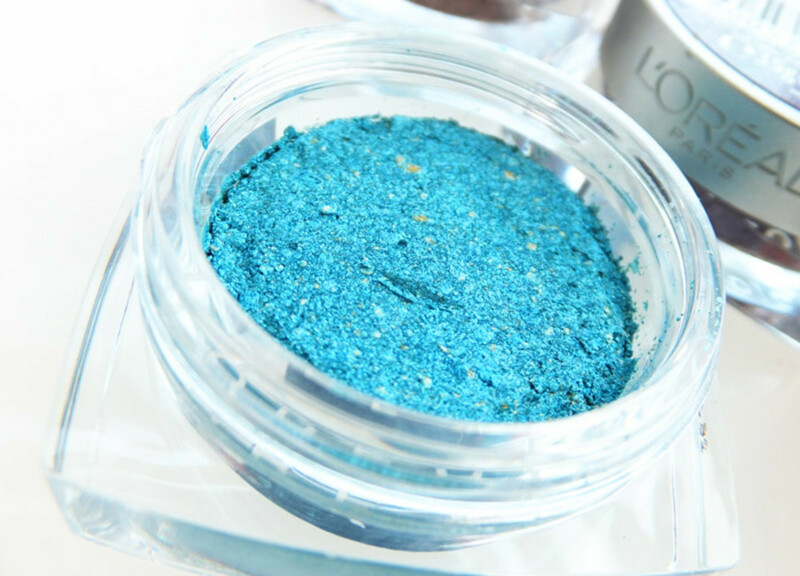 Before the liner has a chance to set, dip a small eye shadow brush into, say, L&apos;Oréal Paris Infallible Colour Dual-Pigment Iridescent Eyeshadow in Innocent Turquoise (above, $10.99 at drugstores), and use it to blend the cream liner out onto your lid. (Repeat on the other eye, of course.) 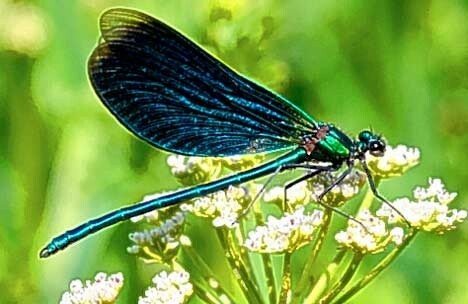 You&apos;ll get the coolest iridescent blackened turquoise -- makes me think of dragonflies. Try it on the back of your hand first; you&apos;ll see. And you&apos;ll also see that it won&apos;t budge, so you can swan through your evening without worrying about wonky shadow migration. 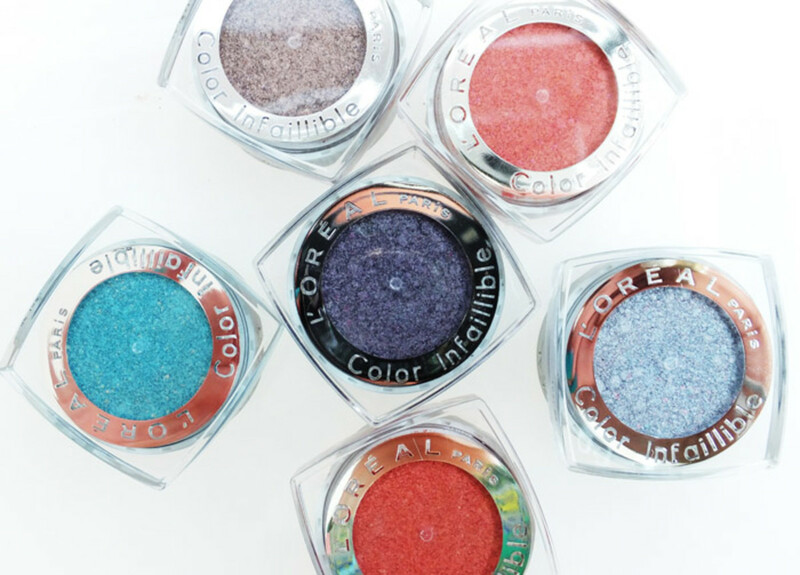 By the way, Innocent Turquoise is one of six new crease-and-smudgeproof dual-pigment Infallible shadow shades (similar to the L&apos;Oréal-owned Giorgio Armani Eyes to Kill eyeshadows). From top left: Tender Caramel, Magnetic Coral, Sassy Marshmallow, Pepsy Coral, Innocent Turquoise and Metallic Lilac. If you&apos;re tempted, but haven&apos;t strayed from pressed or baked shadows yet, here&apos;s how to apply loose eyeshadow without making a mess. 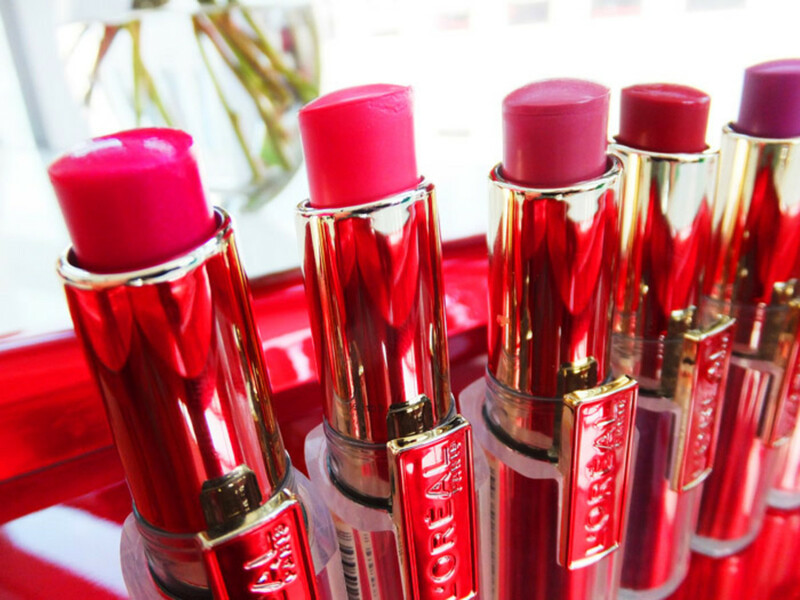 Have you tried the new L&apos;Oréal Paris Color Caresse lipsticks? Aren&apos;t they amazing? And the Extra-Intense liner, or the Lacquer Liner -- either of those calling to you? Most photos via Fujifilm Finepix F770EXR. 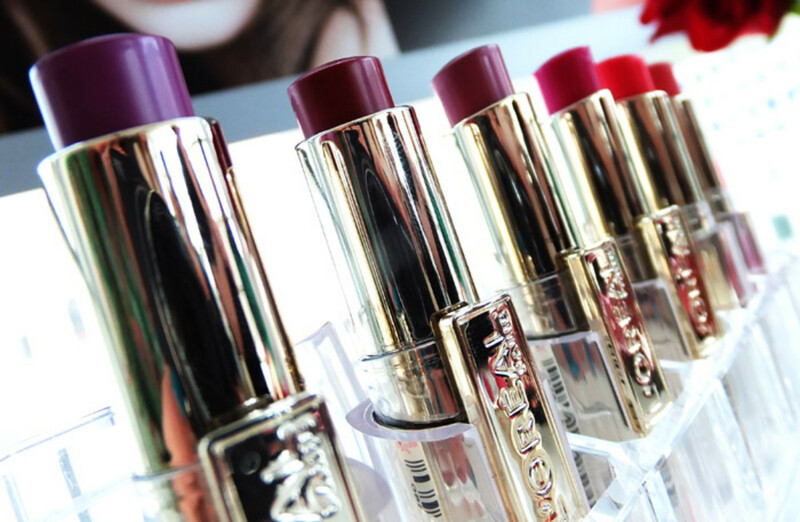 L&apos;Oréal Paris Color Caresse by Color Riche packaging photo, courtesy of L&apos;Oréal Paris.